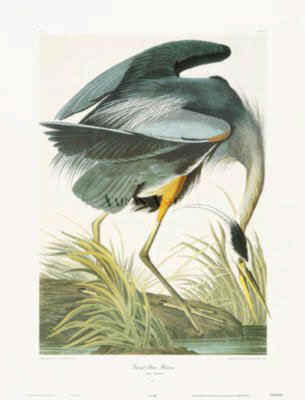 It's the birthday of John James Audubon, born in 1785 in what is now Haiti. He was born out of wedlock, the son of a wealthy French naval officer and plantation owner, and his mistress. He was raised in France by his stepmother, and then at age 18, he left for America. He started studying birds intently, painting them and categorizing them. He was the first person in North America to band birds. He took little pieces of colored yarn and tied them around the legs of eastern phoebes, and so he was able to determine that the birds came back to the exact same nesting places each year.